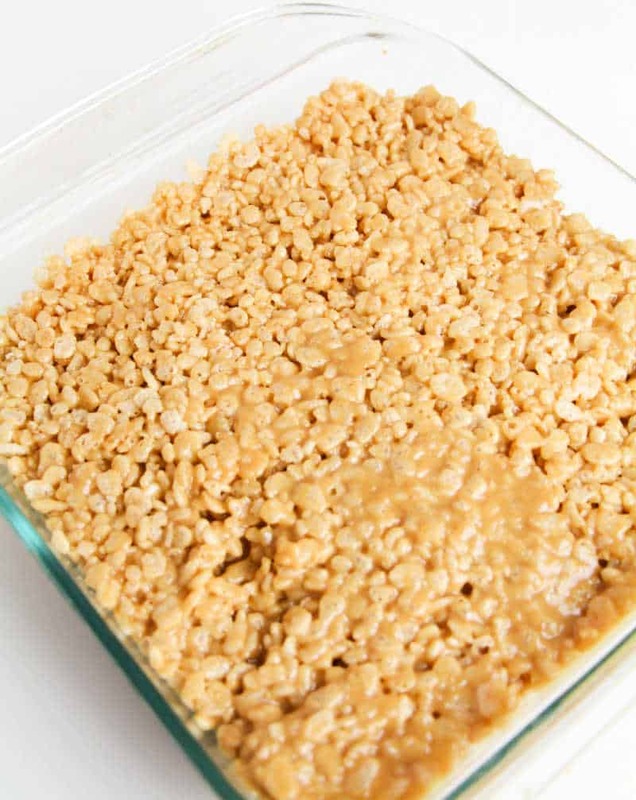 Chocolate peanut butter scotcheroos are an easy no bake treat made with rice cereal, peanut butter, and butterscotch and chocolate chips. 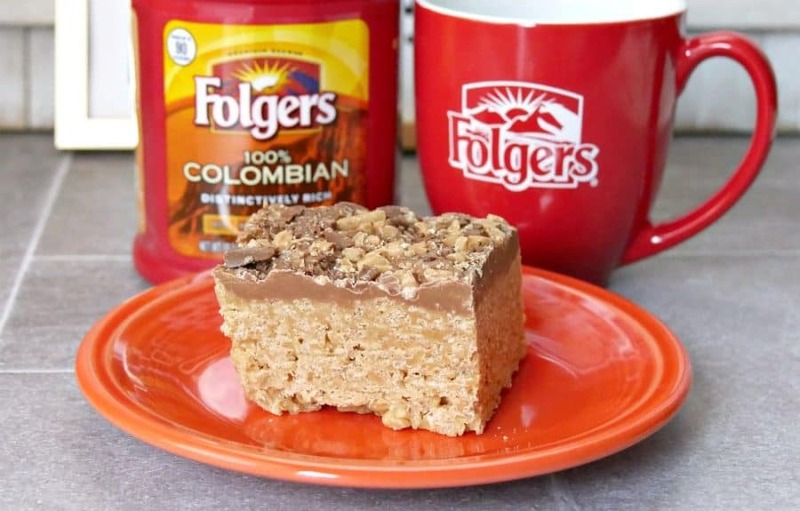 Scotcheroos are the perfect complement to your afternoon cup of Folgers® Colombian coffee. After school can be one of the craziest times of the day for moms. 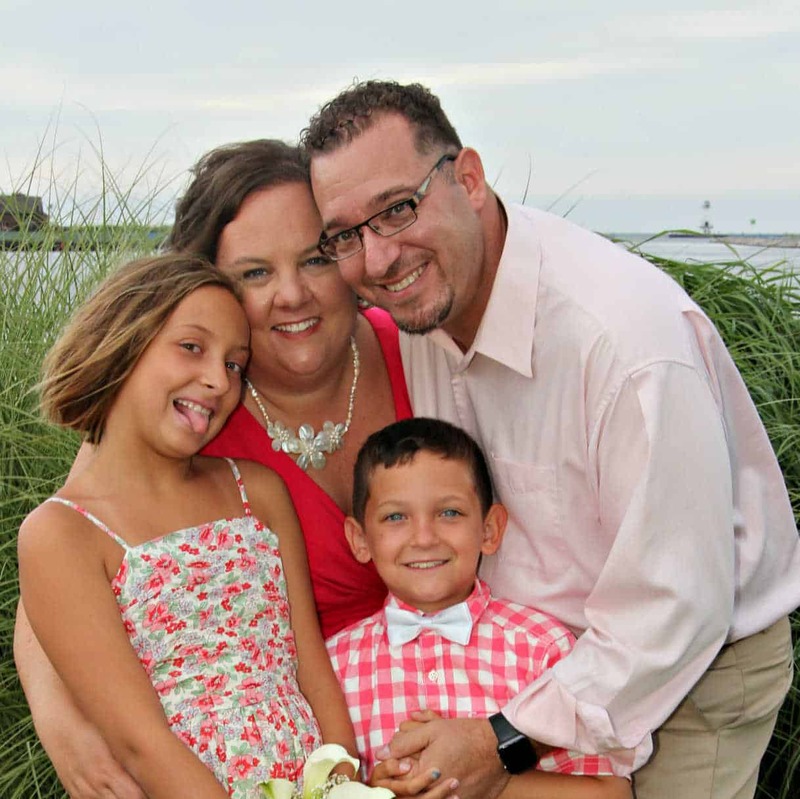 Before we homeschooled my husband would pick up the kids from school and they would be home by about 3:30 PM. I realized that I needed some time to myself to gather my thoughts and plans before the chaos came through the front door. Around 2:00 PM, I would stop working or prepping dinner or whatever I was doing that day. 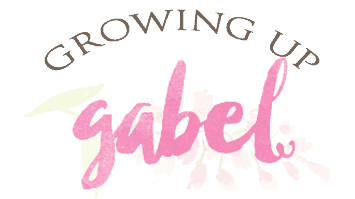 I still keep this little ritual even though our afternoons are a little less chaotic. We still have all the evening craziness of extra curricular activities (just none of the homework!). I brew a cup of Folgers coffee, grab a snack, and sit down to enjoy the last moments of peace. 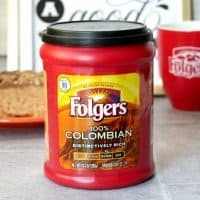 Folgers coffee has a variety of flavors and roasts. 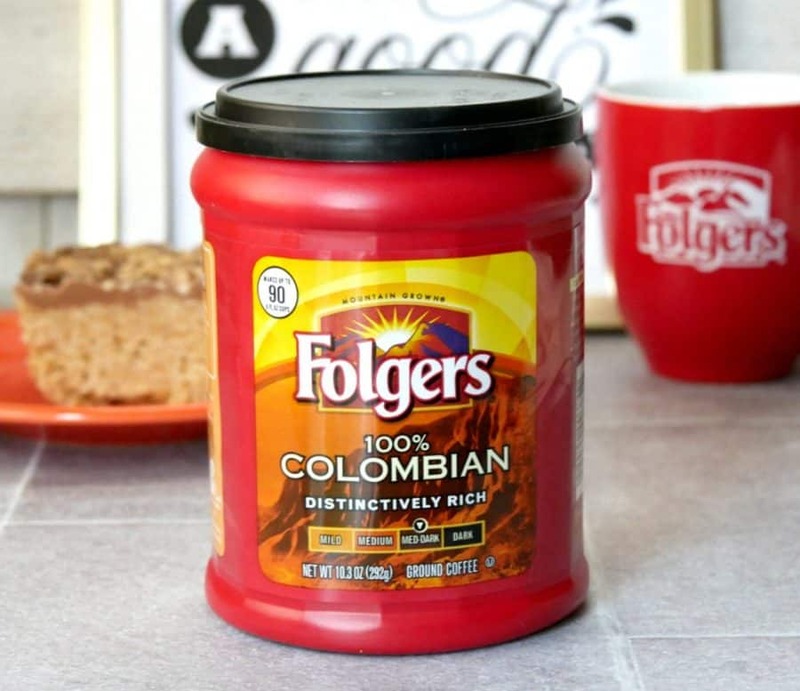 In the afternoons I like to drink a darker roast of coffee like Folgers Gourmet Supreme. Darker roast coffee actually has less caffeine in it. It's great for the afternoon. The Classic Roast is a nice medium roast if you like a lighter roaster or want a little more caffeine to get through the afternoon. 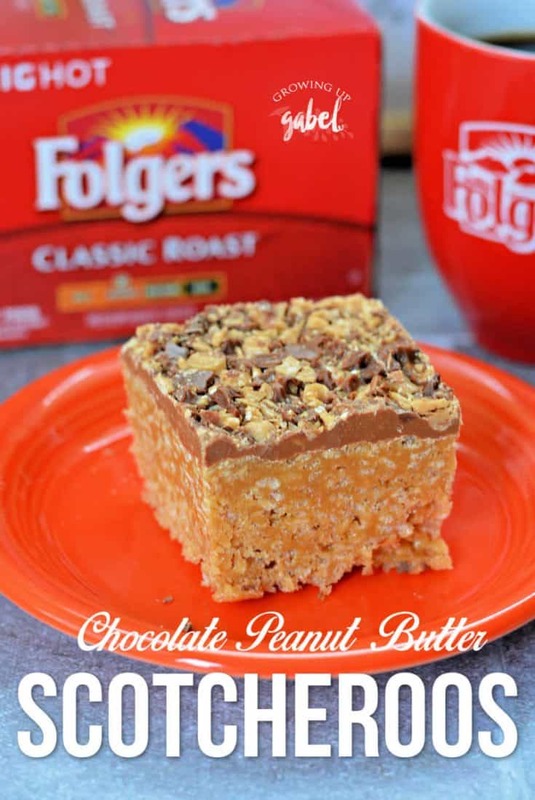 Scotcheroos peanut butter and chocolate flavors complement an afternoon cup of coffee perfectly. I love that no baking is involved in making them. They are quick and easy to whip up. 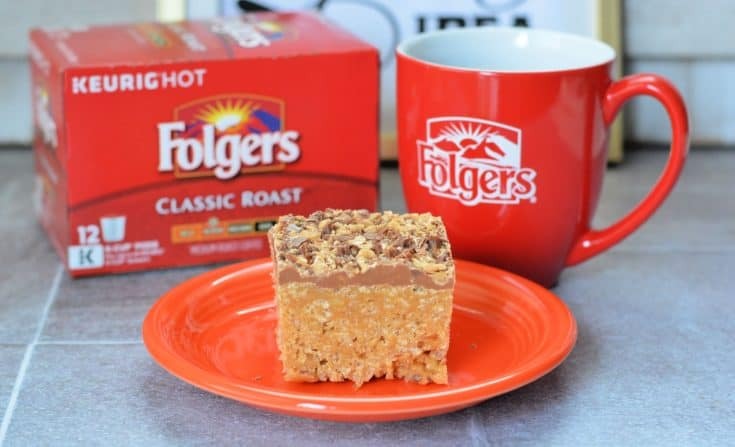 For other ideas on how to pair your Folgers coffee, check out these recipes and pairing tips on the Folgers website. Check out that mug cake! Making scotcheroos is easy but it's best to have all the ingredients measured out and kitchen tools prepped and ready to go. Start by lining a 8″ x 8″ casserole pan with aluminum foil. Grease well with butter, oil or shortening. Do not skip this step or your scotcheroos will not come out of the pan. 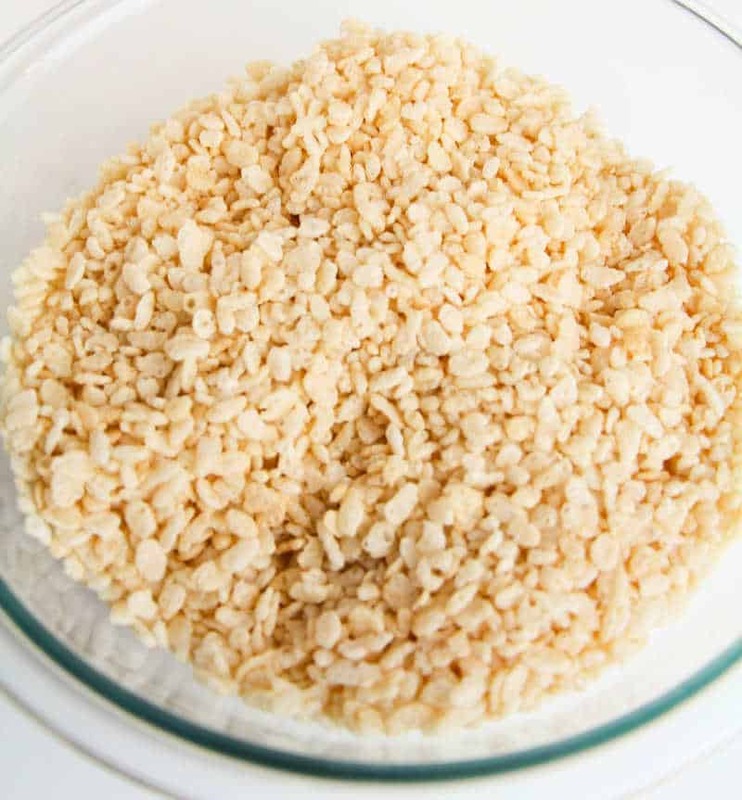 Measure out the rice cereal into a bowl and set that aside also. 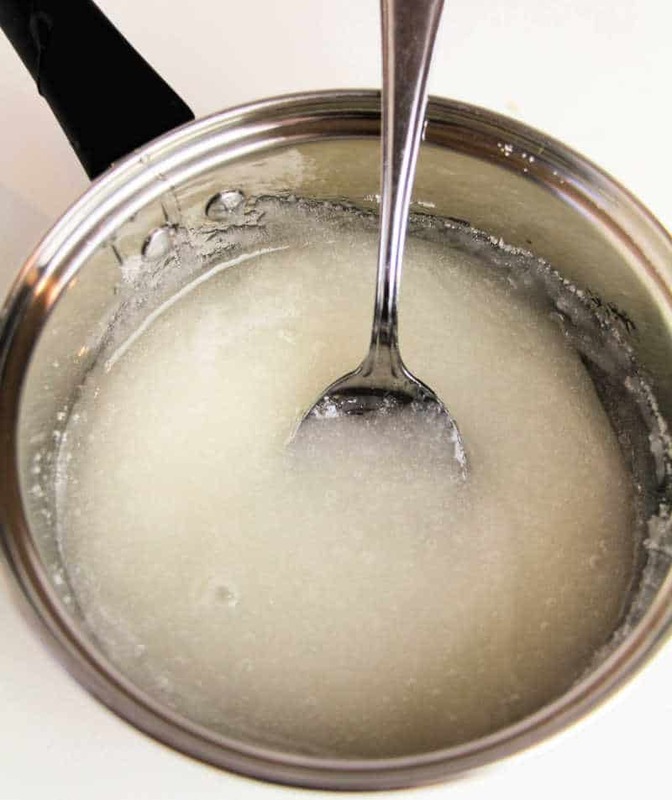 Combine the white sugar and corn syrup in a large saucepan that is big enough to stir in the rice cereal. Heat over medium heat. 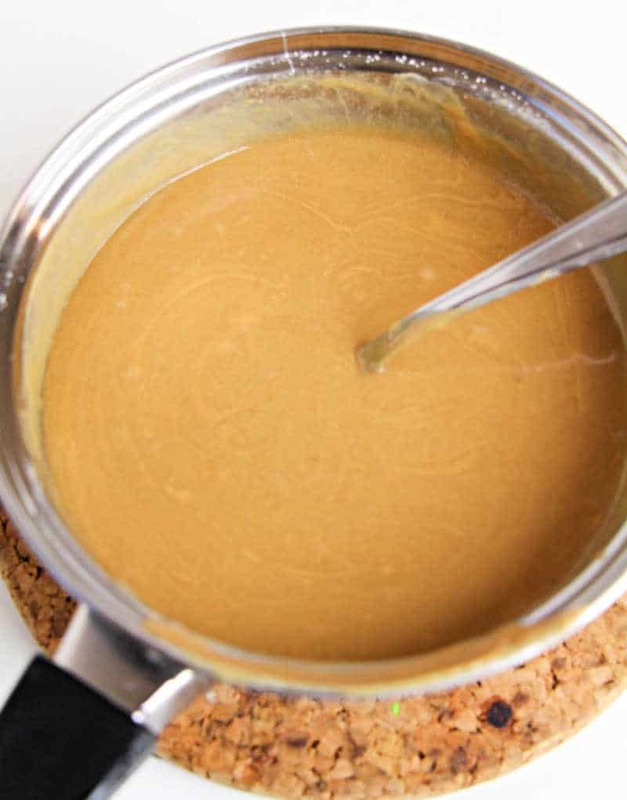 When the sugar is completely melted and incorporated into the corn syrup, stir in the peanut butter. Heat for 2 minutes then remove from heat. 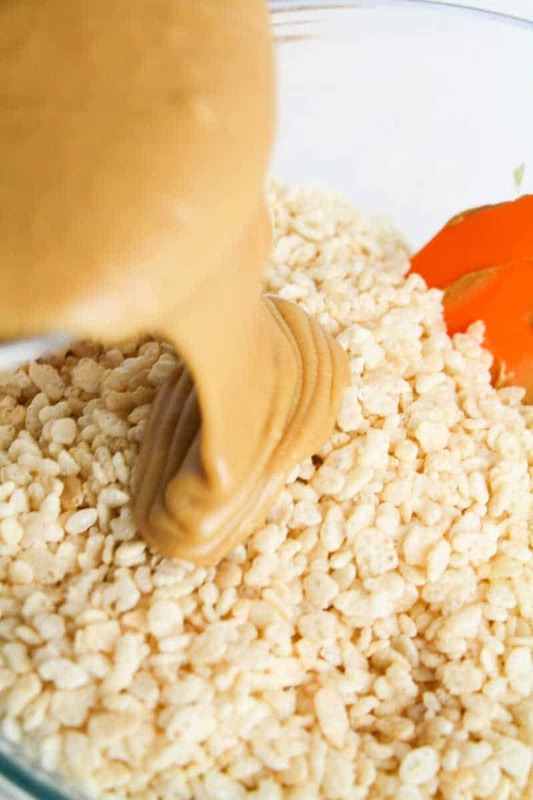 Pour the rice cereal into the pot with the peanut butter mixture. We mixed in the bowl and it was really hard to do – plus it created another dish to wash.
Stir quickly to coat the rice cereal evenly. The mixture will start to harden as it cools so stir fast. A wooden spoon also helps with the stiff mixture. Pour the rice cereal mixture into the casserole dish. Use wax paper to press the mix into the pan evenly. Then set aside. Combine the butterscotch and chocolate chips and melt. You can melt it by either using a double boiler in a pan or heating in the microwave for 30 second bursts, stirring in between. If you use the microwave, make sure to stir. The chips won't look like they are melting until you stir. Pour the melted chocolate mixture over the rice cereal and smooth with an offset spatula. Finally, sprinkle the toffee bits over the melted chocolate. Allow the bars to set for 2 hours, or overnight. You may need to put the bars in the refrigerator to get the chocolate to cool enough to harden. But once it is set, there's no need to refrigerate. Just store in an air tight corner. Slice the scotcheroos into bars. Store in an airtight container. 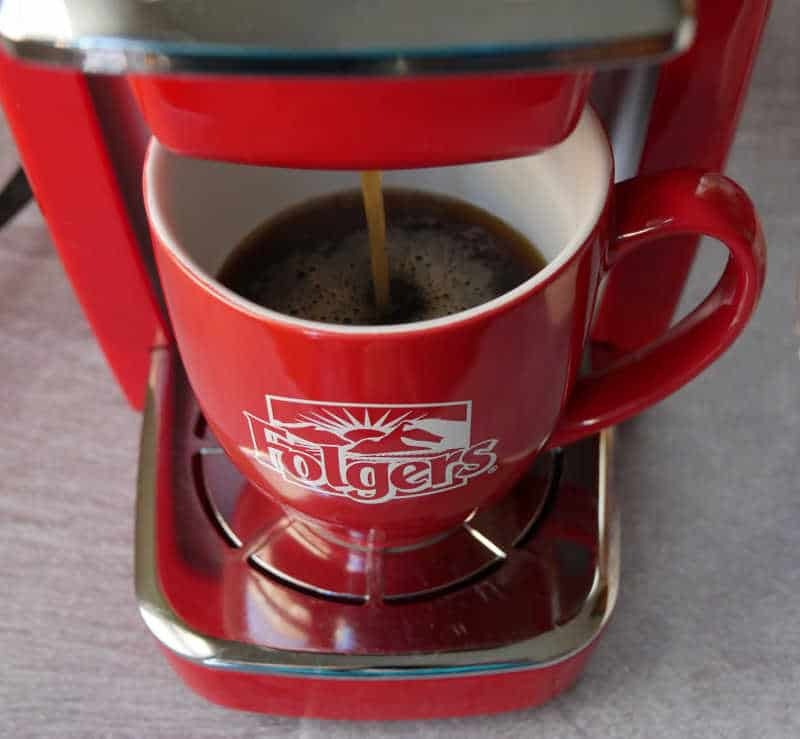 Enjoy with your favorite Folgers coffee as a special afternoon treat just for you. 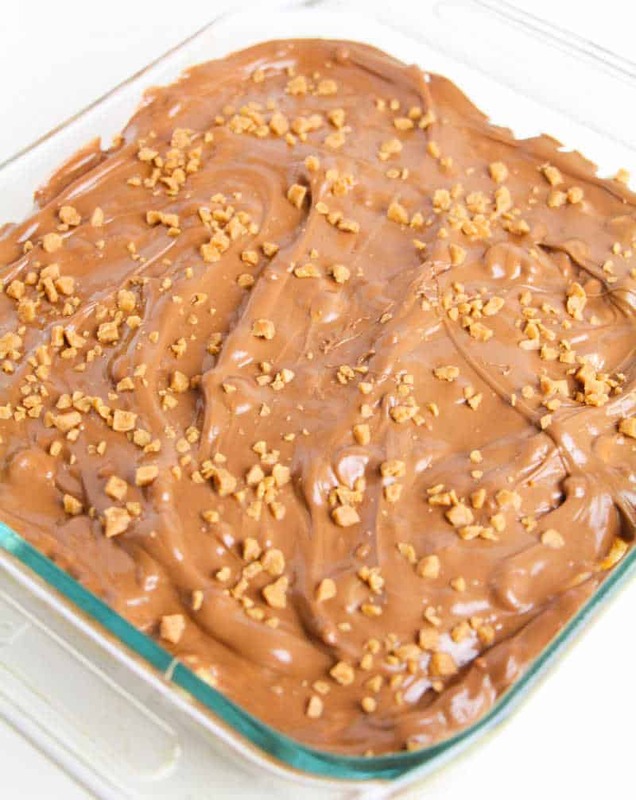 Chocolate peanut butter scotcheroos are an easy no bake treat made with rice cereal, peanut butter, and butterscotch and chocolate chips. 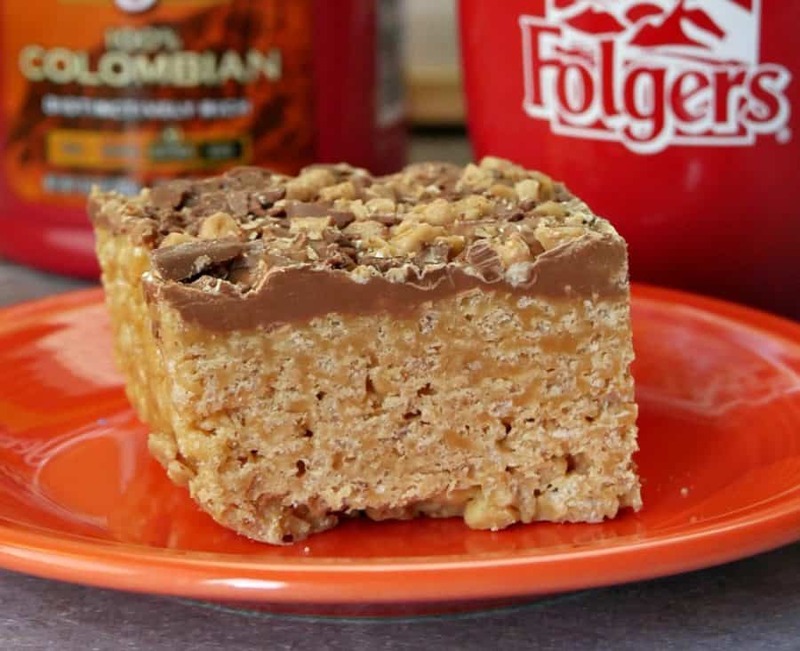 Scotcheroos are the perfect complement to your afternoon cup of Folgers® coffee. Line an 8" x 8" casserole pan with foil. Grease well. Set aside. Measure the rice cereal into a bowl and set aside. Combine the white sugar and corn syrup in a large saucepan and heat over medium heat. Pour the rice cereal into the pan with the corn syrup mixture. Stir to coat evenly working quickly as the mixture will begin to harden and set as it cools. 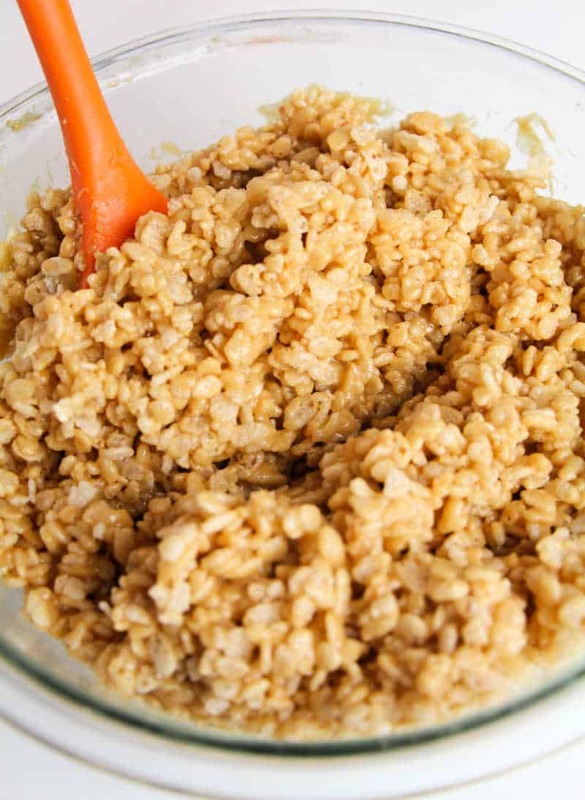 Fold the rice cereal mixture into the casserole dish. Use wax paper to press the mixture firmly into the pan keeping it as even on top as possible. Set aside. 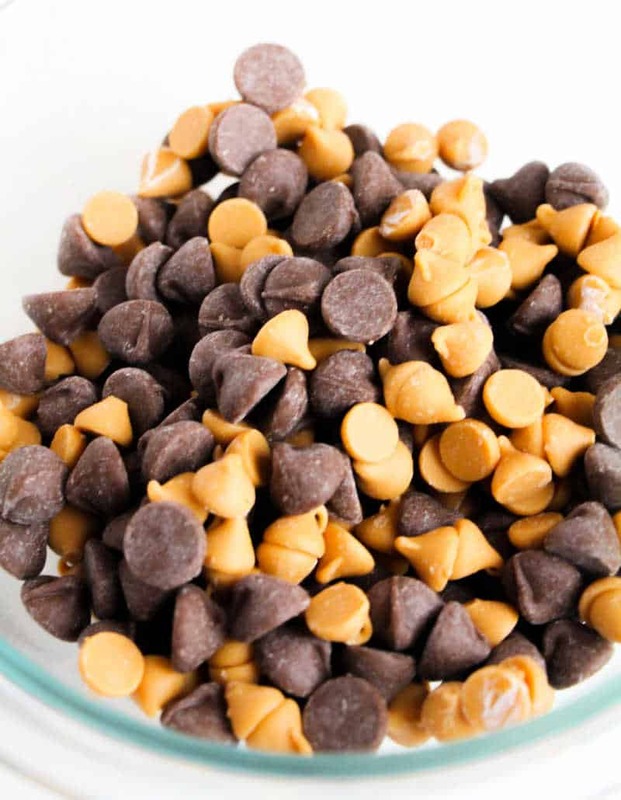 Combine the butterscotch and chocolate chips and melt - either using a double boiler or heating in the microwave for 30 second bursts, stirring in between. Pour the melted chocolate mixture over the rice cereal and smooth with an offset spatula. Sprinkle the toffee bits over the melted chocolate and allow to set for 2 hours, or overnight. You may need to refrigerate to get the chocolate to harden. But once it's hard, there is no need to keep in the refrigerator. Just store in an air tight container.